Providing Florida with the top tree care includes everything right down to the stump. Stump removal can be difficult, especially if the tree has deep roots and has been in that spot for hundreds of years. Along with stump removal we also offer stump grinding services. Our stump grinder will turn your pesky stump into tiny little wood chips, which are much more manageable. If you’re in need of stump removal or grinding services, contact us today to get the job done. We ensure quality work so that you don’t have another thing to stress about. If you cut down a tree yourself, you will be left with a pesky stump. Stumps are difficult and laborious to remove, especially if you’ve never done it before. It is a good idea to get the stump removed, instead of just leaving it, as stumps can get in the way of future building projects, and can also be dangerous if they are close enough to the ground to not be properly seen by people walking by. 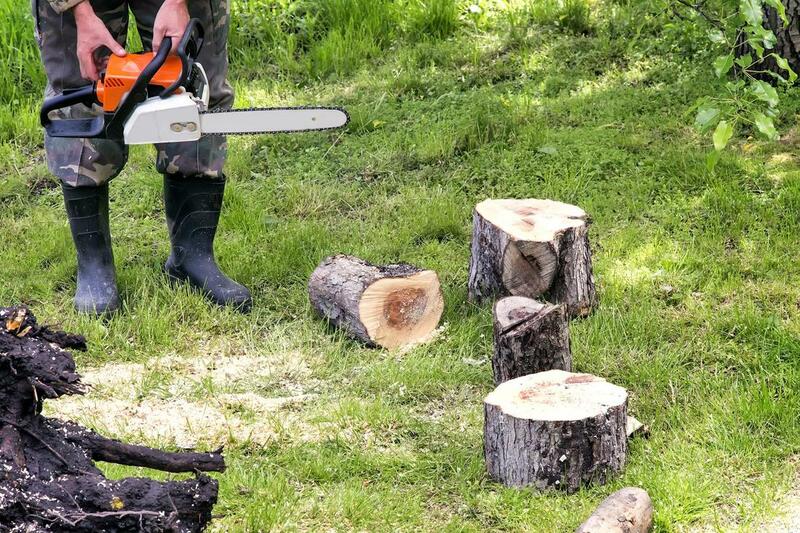 Our stump removal team is knowledgeable, well practiced and will remove your stump carefully so that you are not left with any damage to your yard. Not only are you at risk for new tree growth to occur if you leave a stump, but you also can attract insects. Eventually the dead tree will start to decay and when this happens pests such as beetles and termites can come to live in the stump and make it their home. These types of insects feed off the wood and use it to bury into to protect themselves. Removing a stump is simply another form of pest control. It keeps those unwanted visitors away from your yard and away from your home. Tree stumps are incredibly hard to maneuver around when mowing the lawn or weeding. Often, the grass and weeds that grow around a stump end up being left, which makes for an unsightly nuisance. More importantly however, tree stumps take up valuable space in your yard. They get in the way of future building projects and leave you with less grass or yard space to enjoy. Stump removal opens up your area and gives you the freedom to do some nice landscaping, or maybe even grow a garden. Trees have insanely long lifespans, which means that by the time you have a tree removed, it’s likely already been in that spot for decades, if not hundreds of years. This span of time means the tree’s roots have time to keep growing and spreading underneath the earth. When you cut down a tree and leave the stump, you are leaving the possibility of future root growth, and the problems that come with it. Roots can lift or crack pavement creating an uneven and dangerous path to walk on. They can also get into your pipes and cause blockages to your sewage system.